The Witcher 3: Wild Hunt got a little bit prettier today with the release of a new patch that improves high-end textures and boosts Nvidia Hairworks performance. 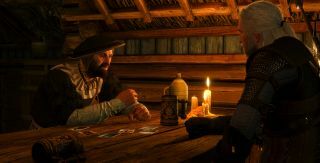 Various bug fixes and tweaks have also been implemented, keyboard controls can now be remapped, and, perhaps most important of all, the Prologue area now offers a few new cards for Gwent, the Hearthstone-style game-within-a-game. The Witcher 3: Wild Hunt is a gorgeous game, but it does suffer from some issues. See for yourself in our gallery of the prettiest sunsets and ugliest rocks, right here.